Watch our Video and learn the FACTS on Texting While Driving! It Kills! 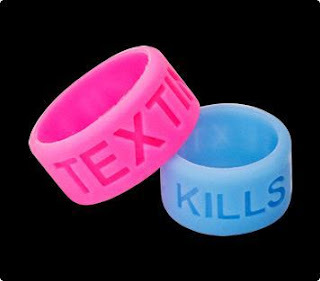 Don't Text Thumb Bands In Stock or Custom Colors Order Now and Help Us Save Lives! Order One or 1,000 pieces! We have in Stock or Custom Thumb Bands Custom Thumb Band Rings that we can match with you school or business colors. Custom Insert Card with 3 weeks production! Your logo and each band in a poly bag! In Stock Pink or Blue with Texting Kills or Text Free Driver! Ships in 24 hours! Foundations, Schools, Counties, States, Police, Safety, Retail Stores, are all Joining Forces to End Texting While Driving!! 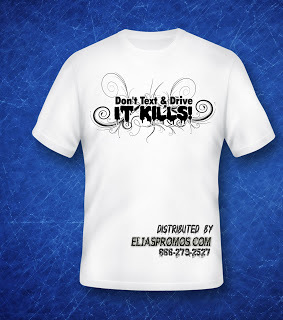 Start a Don't Text & Drive Campaign! We will give you a Free Pledge form Customized and Posters for you to print in Digital format! Just call us we can help! Joining Forces to Stop this problem!! Custom Thumb Band Rings that we can match with you school or business colors.